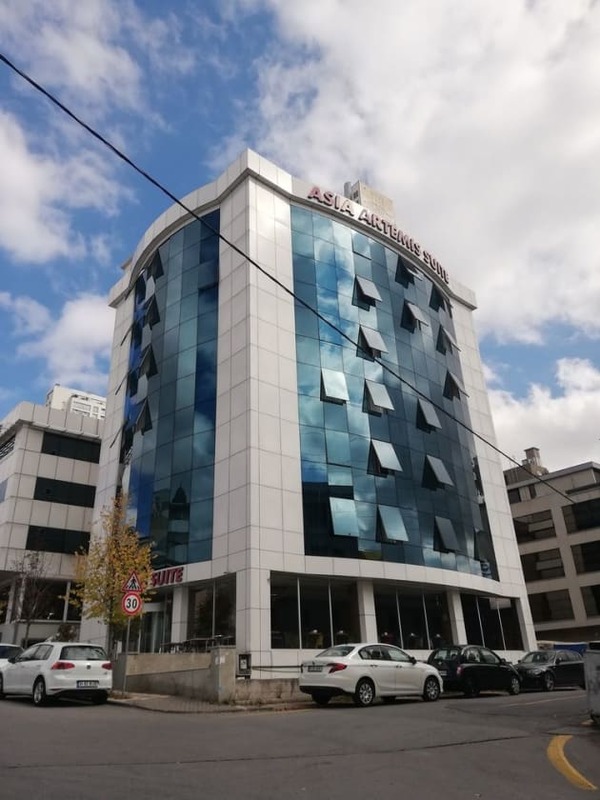 Located in heart of the financial and commercial district of Istanbul: Ümraniye, is just minutes from Kadiköy and Uskudar. Explore the stylish shopping mall, Canpark, which invites you to shop exclusive brands, rest in delightful cafes or enjoy a movie. Our hotel is the ideal base to discover the city with easy access to Old Town and Taksim Square.Find everything you need for work and relax in our comfortable rooms and suites. Each room includes Sweet Dreams™ by Serta beds, LCD TV, refrigerator, work desk with ergonomic chair and complimentary WiFi.Get to work in the 24-hour business center or keep up your fitness regime at our onsite fitness center. Our indoor pool is a great way to refresh after a long day of sightseeing. Start your day with a cooked-to-order breakfast or choose a snack or drink at the 24-hour Pavilion Pantry.® Enjoy a delectable dinner in our restaurant or in the comfort of our own room. At the end of a busy day, unwind in the bar with a cocktail. Located in Istanbul’s Asian Kadıköy district, just 5 minutes’ walk from the Besiktas-Karakoy-Eminonu pier, Khalkedon Hotel offers modern rooms and a rooftop terrace with panoramic views over the Bosphorus Strait. All rooms at the Khalkedon Hotel are air conditioned and decorated in modern style, while preserving buildings original architecture. Each room has a minibar, flat-screen TV and is complemented with a large, private bathroom. All rooms offer street views and gets direct sunlight. Each morning a breakfast buffet is served on the hotel’s rooftop terrace. It also offers a lounge with sea view. Drinks are available from the rooftop bar. 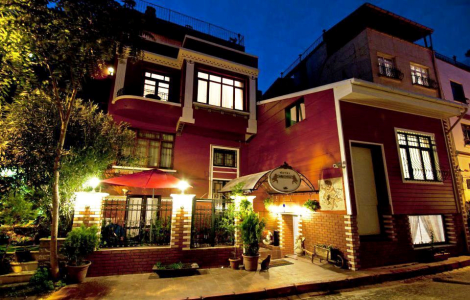 Hotel Khalkedon is surrounded by lively cafes, designer shops and exclusive restaurants. Çarşi Tram and Bus Stop is an easy 3-minute walk away. The hotel offers shuttle transport for guests’ convenience. This intimate Art Deco-style hotel has a rooftop terrace with views of the Sea of Marmara. It is quietly located, less than 400 m from Blue Mosque and Hagia Sophia. Free Wi-Fi and satellite LCD TV are available in all rooms of Bucoleon by Cheers. Guests can benefit from in-room air conditioning and 24-hour room service. When weather is sunny, it is also possible to sit outdoors on the terrace with its bistro-style tables. The hotel's 24-hour reception can arrange car rentals and airport shuttles to Ataturk Airport, 18 km away. They also offer a tour desk and babysitting services. The hotel is situated a 10-minute walk from the Grand Bazaar and a 15-minute walk from Topkapi Palace. Take advantage of the hotel's 24-hour room service. Meet other guests and eat at the complimentary reception. Buffet breakfasts are available daily from 8 AM to 10:30 AM for a fee. Found in the old city centre Sultanahmet, the 3-star Angel’s Home Hotel is in a prime spot to explore Istanbul’s sights. Within a stone’s throw find the Blue Mosque, Topkapi Palace and Sea of Marmara. The rooftop terrace restaurant offers traditional Turkish cuisine and spectacular views across Istanbul. Every room has complimentary wi-fi and air conditioning, as well as a cable TV, minibar, safe and comfy bathrobe and slippers.